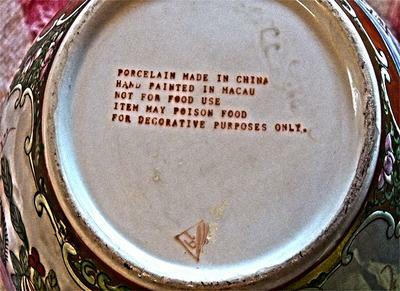 Thanks just could not find the Triangle Stamp on anywhere I bought a plate from there also but cant get a clear picture of the stamp that is on it is there any way to get the stamps to stand out to make it easier to read? 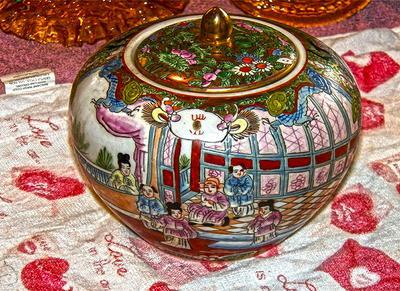 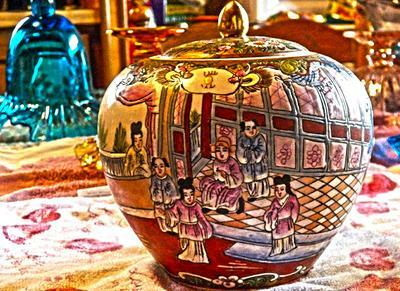 As the stamp underneath says, the porcelain body was made in China, the decoration in Portuguese Macao. 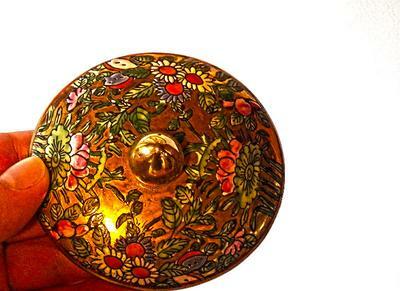 The decoration can hardly be older than last quarter of 20th century.